Patty Wagstaff is a Hollywood stunt pilot, three-time U.S. aerobatic champion, inductee to the National Aviation Hall of Fame and favorite on the air show circuit. One of her tricked-out planes is on display at the Smithsonian National Air and Space Museum. But this weekend, she’s grounded. 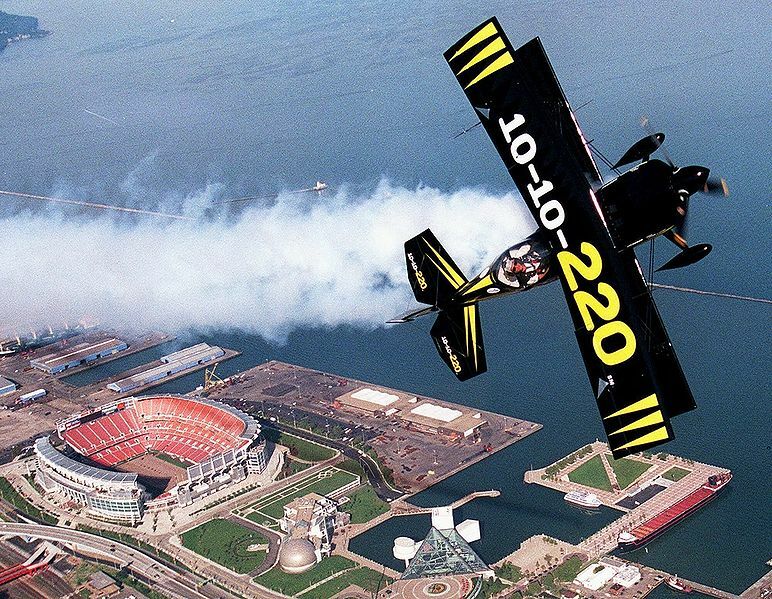 Federal budget cuts that eliminated military flying acts triggered the cancellation of dozens of air shows, meaning lost income for performers, air show announcers, concessionaires, vendors and others who depend on air shows and the millions of spectators. The cancellations also mean disappointed fans, fewer events that celebrate aviation and inspire youngsters and lost military recruiting opportunities. For the complete story by David Sharp of The Associated Press, click here.